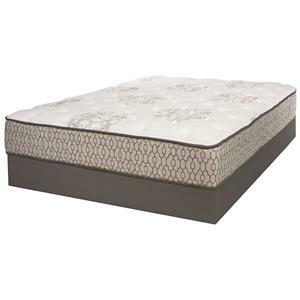 The iAmerica Memorial II Twin Extra Long Firm Mattress and Wood Foundation by Serta at Stuckey Furniture in the Mt. Pleasant and Stuckey, South Carolina area. Product availability may vary. Contact us for the most current availability on this product. The iAmerica Memorial II Collection features a 725 coil unit of individually Wrapped Coils, which provide exceptional support as well as limited motion transfer between partners for a restful undisturbed sleep. 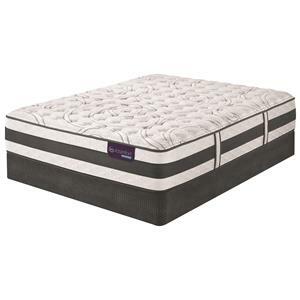 Using Total Edge® Foam Encasement, to provide a sturdy edge and a maximum sleep surface, then layering multiple layers of supportive yet cushioning foam, they create a comfortable mattress that is available in several comfort levels, for the perfect mattress for any sleeper. 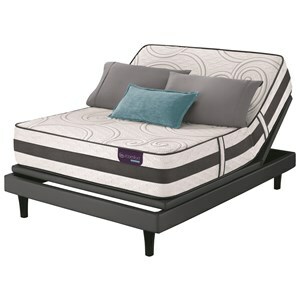 The iAmerica Memorial II collection is a great option if you are looking for Mattresses in the Mt. Pleasant and Stuckey, South Carolina area. Browse other items in the iAmerica Memorial II collection from Stuckey Furniture in the Mt. Pleasant and Stuckey, South Carolina area.